Last week’s Technology Services World Conference closed on Wednesday with the awards luncheon, and I wanted to recap the winners of the TechBest Best in Adoption and Best in Show Awards, as well as the TSIA members who won STAR Awards. The TechBEST Awards recognize outstanding performance by TSIA partners, and are awarded at our Spring and Fall conferences. For Fall 2013, there were 2 awards: TechBEST Best in Adoption, and TechBEST Best in Show. There were three finalists for Best in Adoption, based on which partners had the largest increase in adoption year-over-year in my annual TSIA Member Technology Survey. The three finalists were Citrix, Compuware and Coveo. The TechBEST Best in Adoption winner was Compuware for their Changepoint Professional Services Automation (PSA) platform, which has seen rapidly rising adoption as spending on PSA has increased. The Wall Street Journal even carried the press release here. The TechBEST Best in Show award is voted on by conference attendees, representing the partner who provided the best experience in the TSW Expo, i.e., the most compelling demo, the best booth experience, the best value proposition, etc. The winner of the Fall 2013 TechBEST Best in Show was LivePerson, whose software and services create meaningful, real time customer connections that help businesses increase conversions and improve consumer experience. Congratulations to LivePerson who had great booth traffic, lots of buzz about their demos, as well as a standing-room only in their Expo Theatre session! For all you TSIA members, stay tuned for my writeup of “why they won,” providing information behind each of these STAR Awards. That report should be published within a few weeks after review and approval by each winner. I was a bit sorry to see TSW come to a close. 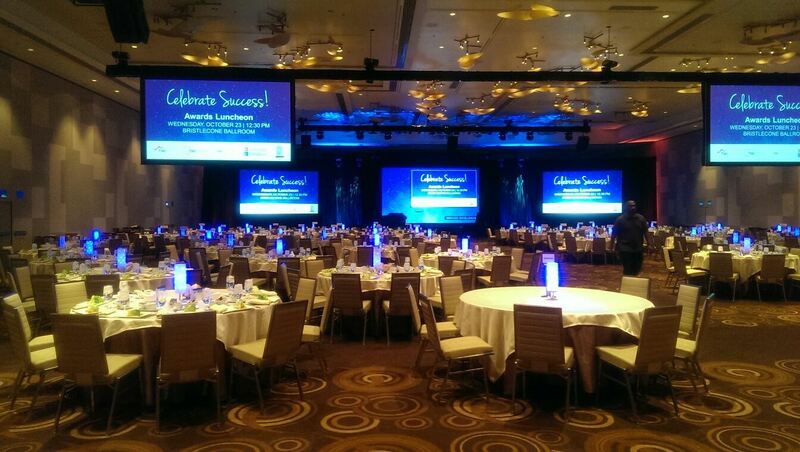 It was our largest event ever with more than 1100 attendees, and the new conference location, at the Aria Resort and Convention Center, was a real class act. I’d like to congratulate all the TechBEST and STAR Award winners, and I’d like to thank everyone at TSIA and among our membership who made the conference a big success. And thanks to you, as always, for reading my blog! See you at TSW Spring in Santa Clara on May 5, 2014! Our intrepid events manager, Christi Holzer, is so ahead of the curve she already sent me the session counts for today, the final day of Technology Services World. I started Day 3 with the Social Breakfast of Champions, and really enjoyed the discussion. I appreciate the brave folks who overcame Las Vegas inertia to make our 7am meeting! We then had the final keynote of the event, from my boss Thomas Lah, as well as a couple of rounds of breakout sessions, prior to the closing awards ceremony. Value-Driven Support: Shifting from Output to Outcomes. Pitney Bowes has been on a five-year journey to transform its support organization into an award-winning business service for its customers. By focusing on customer adoption and realized value, the Pitney Bowes support organization has seen a dramatic improvement in customer satisfaction and loyalty. In this session, attendees learned how to retool their organizations to deliver on the only thing that really matters: creating successful customer outcomes. Presenters were Jesse Hoobler, Director, Worldwide Software Support, Pitney Bowes Software; Michael McLasky, Manager, Pitney Bowes Software; and Joanne Weigel, Sr. Director, TSIA. Customer Success: Lifecycle Account Management. In this session, Tony Brucha, director of Customer Success for Cisco WebEx, described the evolution of the Customer Success organization since the acquisition and integration of WebEx in 2007. Brucha described the Customer Success model, discussed the Strategic Customer Care framework supported by the Consumption Economics model used to deliver business results and outcomes, and defined the Customer Success Lifecycle Account Management Process executed by the organization’s Customer Success Manager (CSM) teams globally. Transforming Customer Experience by Interlocking Support Services and Product Development. The IT industry is undergoing a historical transition. Cloud, BYOD, IPv6, video, mobility, and social networking are reshaping what traditional support looks like, moving it from boxes to solutions. It’s imperative for support services to serve as the voice of the customer—and to drive the right engagement model with product development. This session, led by Danny Montejano, Senior Director, Technical Services, Cisco Systems; and Ken O’Reilly, VP, Research, Support and Field Services, TSIA; educated the audience about how Cisco has orchestrated a tight partnership between its global support organization and its largest product development group. Support and Engineering: Forming New Partnerships to Drive Customer Success. Presented by Marylon McGinnis, SVP Global Support, Infor Global Solutions, this session described how Infor Xtreme Support and Engineering are joining forces to change the way support is provided in the industry today. Infor is delivering innovation in its products to ensure its customers are successful in running their businesses. Working with Infor Development, Infor Support is delivering innovation in its support toolset to help resolve customer issues faster, provide more proactive support, and facilitate stronger collaboration between customers and our support analysts. Upsell and Cross-Sell: Leveraging Your Consultants to Capture Untapped Revenue Potential. Companies like Corptax are increasingly leveraging consulting and service delivery resources in a dual role that includes sales. This can increase customer touch points, add clarity to customer business problem understanding, create a stronger services sales arm, and drive increased revenue—but it’s not without challenges. This session detailed important steps for achieving success in this dual-role environment, such as selection, skill development, competitive differentiation, and value selling. Stuart Dodd, vice president and general manager of professional services for Corptax, and Kyle Andrews, Principal, Pretium Partners presented a case study on this process and the measurable results. Thanks to all our presenters for your hard work in creating and delivering such excellent content for our members. And as always, thanks for reading! Analytics for Results: The Real Way from Customer Feedback to Customer Loyalty. This session was presented by TSIA Partner Michael Clarkin, Vice President Global Marketing and Product Services, Sykes Enterprises. Creating the right environment for analytics to flourish and contribute to the organization’s goals requires thoughtful design and intelligent data interpretation, built upon good science. Whether you want to identify what triggers customers to buy more or defect to your competition, or you need to understand why a product or service is failing to achieve expected results, analytics should always lead to the end result of actionable knowledge. This session, built upon years of analysis and studies across many sectors, examined what analytics really is, and why the investment is a strategic imperative. Michael and I recently did a webcast on this topic, so if you’d like to see an OnDemand version of the top attended session, here’s a link. Building a Customer-Centered Business, from the Support Organization Out. There was tremendous buzz about this session and I’m already getting emails asking when the videotaped version will be available. Online communities elevate the voice-of-customer across organizational silos, propelling companies to transition to more customer-centric business models. Support organizations are uniquely positioned to lead the charge by acting as the catalyst for community adoption, management, and reporting. Scott Hirsch from Get Satisfaction, and two Get Satisfaction customers, Kristin Gastaldo, community manager at Blackbaud, and Nathan Roth, senior manager of digital and social at Koodo Mobile, discussed how they’re tactically implementing community to achieve their strategic goals of differentiating from the competition by delivering truly excellent customer experiences. Innovative Online Support: Harness the Power of Information and Empower Customer Self-Help. In this session, presented by Julie Larsen, Vice President of eServices, EMC Corporation examined the importance of investing in innovative capabilities to meet multiple sources of demand and address diverse service channels. Julie discussed four key components of creating an innovative, proactive, and personalized online support strategy to evolve and transform your support organization. Driving Service Delivery Excellence through Voice-of-the-Customer Analytics. Another partner case study, this session was presented by Matt Wroblewski, Director, Market Research for VWR International, and Roger Woolley, VP, Solutions Marketing, Verint Systems. Many organizations are implementing voice-of-the-customer (VOC) programs to capture and assess customer comments and sentiments across multiple communications channels—but, it’s a complex job. So how do you get started? Verint Systems and VWR International shared how VWR implemented a VOC program to help deliver superior service and improve productivity for its customers and suppliers. Details included how VWR International built a best-practices model for managing quarterly customer relationship and Net Promoter Score® surveys, and leveraged feedback from customer service, technical support, and web touchpoints. Turbo-Charging Your Revenue Engine: Building Service Pricing Capabilities. As the role of services grows within tech companies, as products themselves are sold as services, pricing capabilities shift from “nice to have” to vital. So how do you develop those organizational capabilities? What capabilities should you develop first? Where should those capabilities reside? How do you know it is time for your organization to change? What kinds of pricing problems should you tackle first? In this discussion, Randy Wootton, VP, Premier Products for Salesforce.com introduced participants to Salesforce’s Pricing Maturity Model as a framework for evaluating your current pricing practices and envisioning next steps in growth. I started today with our Breakfast of Social Champions, and the conference closes with our awards luncheon. I’ll be back after the conference with updates on the award winners. For now, thanks for reading and thanks for supporting TSIA! I moderated 2 sessions yesterday that were both interactive, and it is always enlightening to see what questions are asked by the audience. The first session was a panel discussion, “Stump the Panel: Empowering Service Organizations to Take Community to the Next Level,” with some real-heavy hitter panelists. Rob Shapiro drives social strategy within Oracle services, and has lots of hands-on experience managing expert communities. Joseph Cothrel from Lithium Technologies has been a community advocate for a decade now, with a deep understanding of B2B support communities. Scott Hirsch from Get Satisfaction rounded out the panel; Get Satisfaction won the 2013 Vision Award at Service Revolutions at our Spring event for their innovative community platform. Each panelist gave a short presentation, then we opened it up for audience questions. We had a good discussion on topics including how to screen and recruit social savvy employees, how to encourage use and adoption by both employees and customers, private vs. public communities, and a lot more. We awarded $25 casino chips to the audience members who asked the most thought provoking questions. My 2nd session was “Social Media: The New Customer Service Channel,” with Carl Knerr Director of Services Offer Management for Avaya. Carl gave a great overview of social media channels and use cases for customer interaction. What I took away from the session was even though B2B companies don’t have as many use cases for supporting customers via Twitter, Facebook, LinkedIn, etc., there are customer conversations about your products happening in these channels, often with very visible and influential customers, and you are ignoring them to your peril. I believe that customer community management is a key capability that service operations have to master. While I’ve talked to a few companies who have executive support and guidance for social programs, unfortunately many companies have yet to see the light regarding social, viewing it as just another channel. But at this conference I’ve heard example after example of how communities are becoming critical elements in customer relationships, identifying passionate customers to help you in renewal cycles, providing valuable insight into customer impacts to help prioritize bugs and enhancement requests, as well as some early data indicating customers active in communities are more satisfied and loyal than customers who are not socially engaged. And as I always say, if your customers aren’t demanding this today, tomorrow’s customers will absolutely be insisting on community collaboration, and we are hearing that more firms are evaluating a vendor’s community as part of product selection. Thanks to everyone who attended our social sessions and asked questions and participated in discussions! Always great to see passion around a topic! And as always, thanks for reading! Yesterday was the opening day at TSIA’s Technology Services World Conference at the beautiful Aria in Las Vegas. This is our first year at Aria and boy, what an upgrade. This is the newest property on the strip, very high tech, and the first conference center I’ve ever been to that had internet everywhere. Hallelujah! Transform and Control the Customer Experience. This session focused on the importance of transforming and taking control of the customer experience. While consumer firms have been very savvy about managing the customer experience across the entire customer lifecycle, B2B firms still mainly focus on siloed CSAT scores by department, with no one monitoring the entire customer experience across marketing, sales, professional services, education services, support services, field services, etc. The Emerging Profiles of Technology Professional Services Organizations (and the Services Capabilities You Must Master in Order to Adapt and Transform). Professional services (PS) businesses are rapidly adapting to the new tech economy realities, defending and protecting even as they are transforming. We are witnessing two worlds of tech economics as they coexist, often within the same companies, and definitely within the same technology sectors. New PS profiles are emerging, new capabilities are arising, and new pressures are being exerted on well-known capabilities. This session looked at two issues: What are these emerging models? and What services capabilities will be required for success? From “Compulsory Services” to Delivering Real Business Value to Customers: It’s a Journey, So Act Now! This session focused on new service capabilities that are needed for success in the future, particularly relating to service revenue generation. Topics included Understanding customers’ business priorities with respect to growing their revenue, optimizing their cost structures, and complying with their industry’s regulatory requirements; Identifying which services you can bring to bear in order to help customers accelerate on their business priorities; Pricing these new services to reflect the additional business value you will deliver to customers; and Making the training investments in your product sales reps, service sales specialists, and renewal teams to effectively position and sell these new services. Transformation of the Global Support Services Organizational Structure. The global economy, consumption economics, new service offerings, and cloud services have had a major impact on how service organizations are structured. This session examined how these factors are transforming support services organizations to meet the demands of the customer, the challenges this is creating for our member companies, how the organizations are structured around the globe, and what new roles our organization is taking on. Identifying High ROI Questions to Be Answered by Consumption Analytics. Consumption analytics identifies tactics and offerings that boost the value of your services to the end customer by answering the what, when, and why questions regarding the customer experience. But which questions will uncover the highest ROI for your services organization? This session introduced TSIA’s framework for building a service analytics capability, addressing the overall framework and the research agenda. Afterward, with a small panel of members and partners, there was a discussion about how service organizations can build a high-priority question inventory to lay the foundation for their own consumption analytics capability. I’ll be back with more TSW updates soon! And as always, thanks for reading! You are currently browsing the Ragsdale’s Eye on Service weblog archives for October 2013.